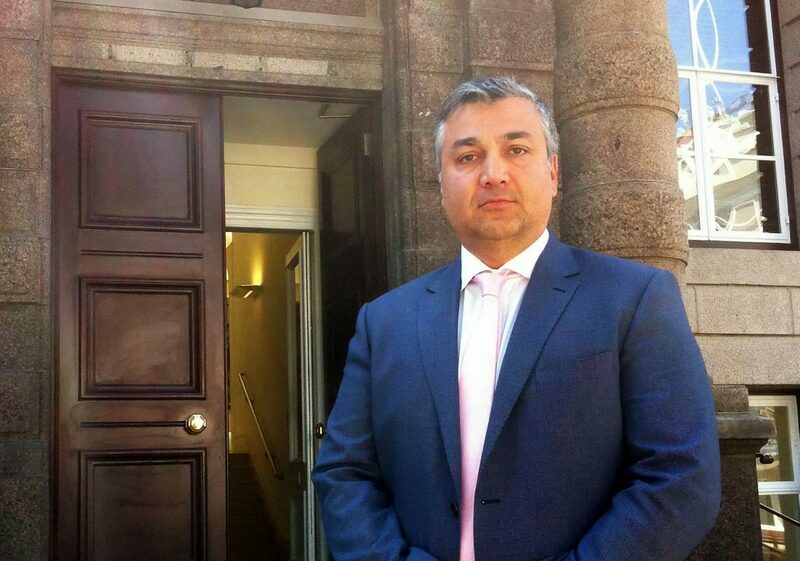 An award-winning eye surgeon who was sacked from a hospital before he even started the job for raising concerns over patient safety is set for an £8m payout. Amar Alwitry had his offer of employment taken away just days before he was supposed to start his new role. The decision in 2012 came after Amar says he criticised the hospital over patient safety in relation to his work schedule. His employers claimed the termination was due to a breakdown in their professional relationship. But now, the Royal Court on Jersey has now ruled the sacking was invalid, and the States Employment Board could face a multi-million pound bill. Amar was crowned the UK Ophthalmologist of the Year and UK Patient Safety Innovator at the 2019 Private Healthcare Awards. He said he was looking forward to returning to his home, Jersey, but that his hopes had now being destroyed. Amar said that his job offer from the Ophthalmology Department was rescinded in 2012 when he raised concerns about patient safety relating to his work schedule. In 2016, the States Complaints Board described his treatment as ‘one of the worst examples’ of a public authority ‘disregarding’ contract law. Royal Court Commissioner Julian Clyde-Smith, presiding, said in the judgment that the the board did not have the right to terminate Amar’s contract of employment. She said that doing so “without cause” was “invalid”. Following yesterday’s Royal Court judgment, Amar hit out at the board for its continued wasting of taxpayers’ money in pursuing the ‘defence of the indefensible’. He added that the past six years had been ‘some of the toughest’ he and his family had faced. Amar’s total damages claim has not been released, but the Royal Court ruled that there was nothing to limit the amount he could receive in compensation. He estimated that his total claim could be around £8 million, although Amar said he was open to settlement discussions. But speaking after the ruling the States Employment Board said it wasn’t giving up without a fight, and will appeal. They attempted to argue that any liability should be limited to a three-month notice period. Amar added: “I am extremely saddened to learn that the SEB remain unwilling to accept the judgment of the Royal Court and intend to seek to appeal against it. The Royal Court’s judgement reads: “We agree with the [States] Complaints Board that procedurally Mr Alwitry has been treated most unfairly. “He was given no opportunity to answer the charges against him or indeed any indication that the hospital management had reached the point where it was considering terminating his employment before he had even started work and he was denied any right to appeal. The judgment ruled that any damages awarded to Mr Alwitry should be ‘compensation, not punishment’. A spokesperson for the SEB said: ‘The court found that while Mr Alwitry’s conduct might have justified disciplinary action, and was difficult and exasperating to management, the court was not persuaded that, looked at objectively, it was of sufficient gravity to justify summary dismissal. ‘The court agreed with the SEB that patient safety was never a valid concern and that the issue of the safety of any actual patient was entirely hypothetical. “The court also made it clear that this was not a case of whistleblowing, or of a contract being terminated because Mr Alwitry was a whistleblower. ‘The court also accepted that the hospital management’s decision to withdraw the employment contract was taken because of genuine concerns about Mr Alwitry’s conduct, and that the management were genuinely motivated by the long-term interests of the General Hospital.